Phonics eStore is conceived as a virtual store . Here parents of young children can source workbooks for their child. There are workbooks that can be downloaded free / after payment. Special care has been taken to make the paid workbooks affordable. Parents are welcome to contribute worksheets. They can also suggest worksheets. At this eStore one can get tools to generate / make worksheets. One can access Pronunciation dictionary and Phonemic typewriter, as well. You can also directly shop Phonics books at amazon and flipkart. Phonics eStore is an affiliate of both. 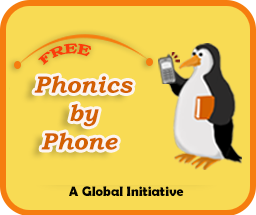 An unique product using mobile and internet technology is available free to all - parents and teachers who wish to teach Phonics. every1mobile. The three member global team that develoepd PhonicsByPhone includes the Founder of PhonicseStore. Phonics eStore offers an unique opportunity to store and share your nostalgia ... nostalgia about your classmates through life. 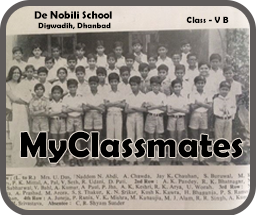 MyClassmates attempts to be a virtual album of annual class photographs. © 2015-2019 Phonics eStore All rights reserved.